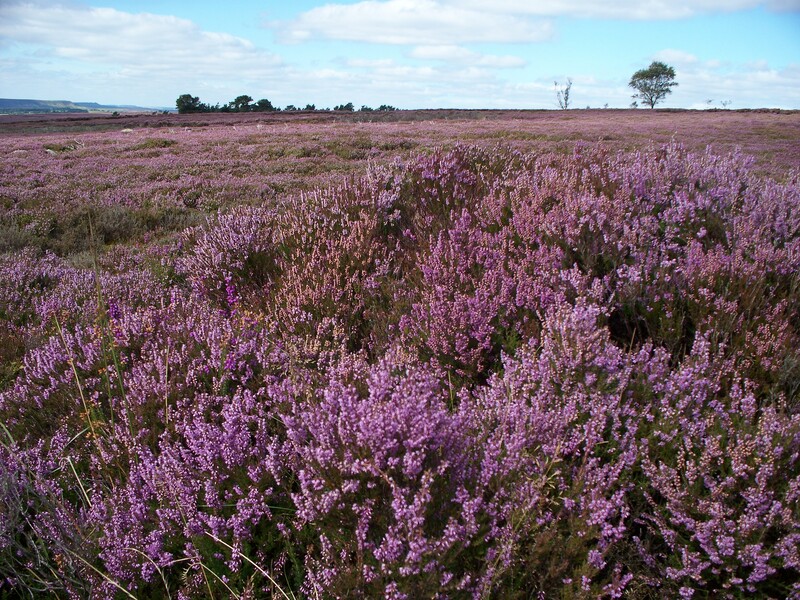 Having a week off work towards the end of August, we decided to take the opportunity of a fine sunny day for a leisurely walk on the North York Moors, the main purpose of which was to enjoy the wide expanses of heather in full bloom, for which the area is famed at this time of year. 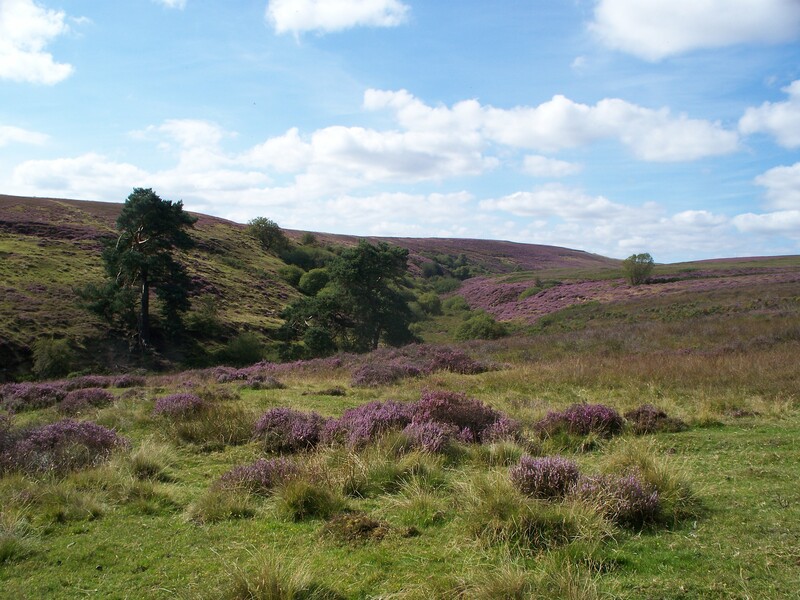 Leaving Hutton-le-Hole, a beautiful village on the very edge of the moor, we headed up across Hutton Ridge, being treated to sweeping views of swathes of purple and pink, as well as more distant panoramas towards the Hambleton Hills. A succession of moorland paths and shooting tracks led us in time to the Rosedale road, and from here we struck off across the open moorland towards Ana Cross. En route to the cross, we encountered the first of only two boggy sections on the whole walk, but there was no real difficulty, and it was certainly preferable to the alternative road walk. 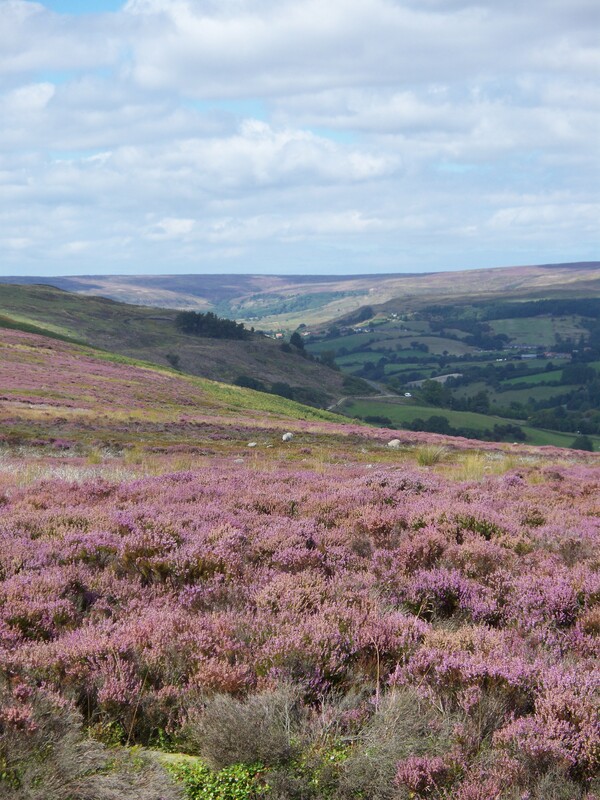 Beyond the cross, further pleasant paths lead down towards Rosedale, and stunning views of this beautiful valley open up as you descend. We’d actually used this path a couple of years previously, during a walk along the old railway line that encircles the head of Rosedale, and it was a pleasure to renew acquaintance with the area. This time though, our route took us away from the valley, and along a bridleway skirting the bottom of the moor. 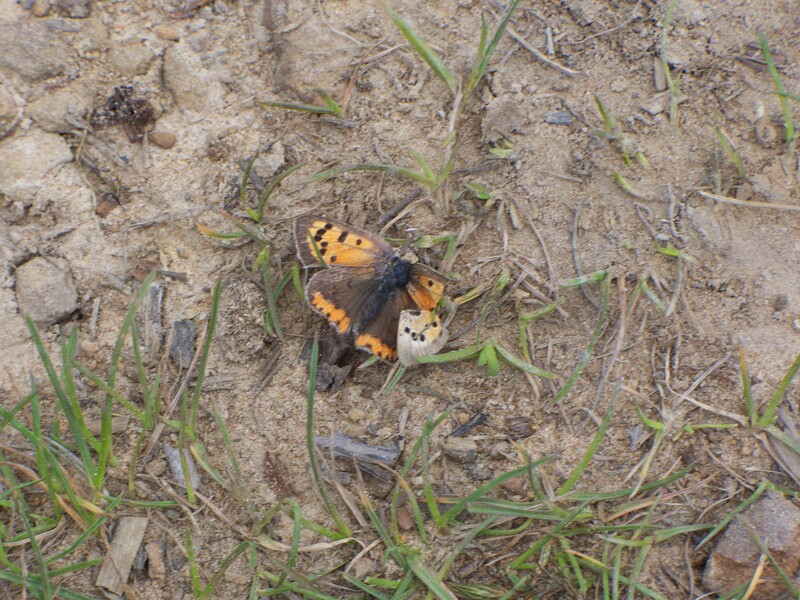 Along the way, we saw a sadly dead small copper lying in the middle of the path, with a chunk missing from its wing. Whether this was a cause or consequence of its demise, I couldn’t say. The path also passes the site of an Elizabethan glass furnace, which was excavated in 1960s, and the remains of which we later saw in the Ryedale Folk Museum. Shortly before the bridleway joins the road to Lastingham, a path heads rightwards, up across a shoulder of the moor. This path crosses a couple of attractive becks, although another short boggy section is encountered. This has been repaired in the past, but the flagstones have themselves sunk several inches into the bog now! The path eventually re-joins the road to Hutton-le-Hole, but an escape can be made onto a field path to avoid the final half mile or so. All in all, a very enjoyable and tranquil walk; we certainly saw it at its best. 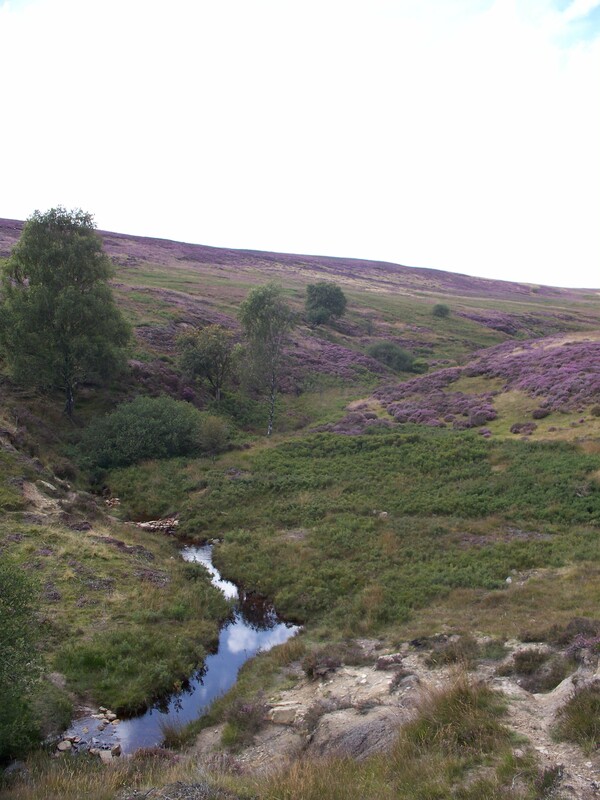 This entry was posted in North York Moors on January 31, 2015 by neilsmountains.